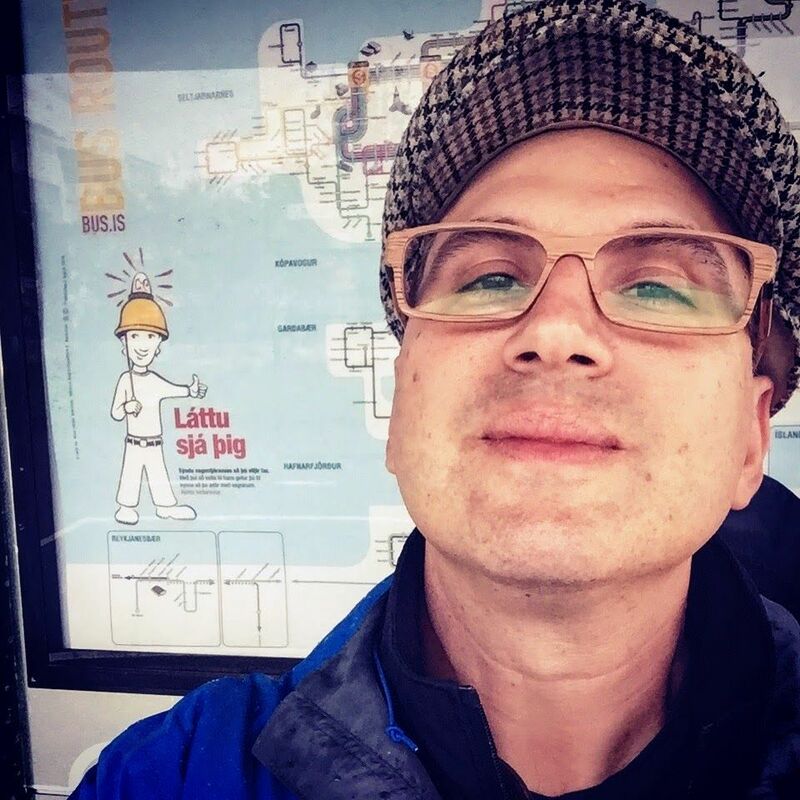 I have been in Iceland for over a week. My travel companion and husband, Glen Retief, is a master researcher. While I procrastinated watching stupid cat videos and reading celebrity news, he spent the past six months instead researching every nook and cranny of our trip. 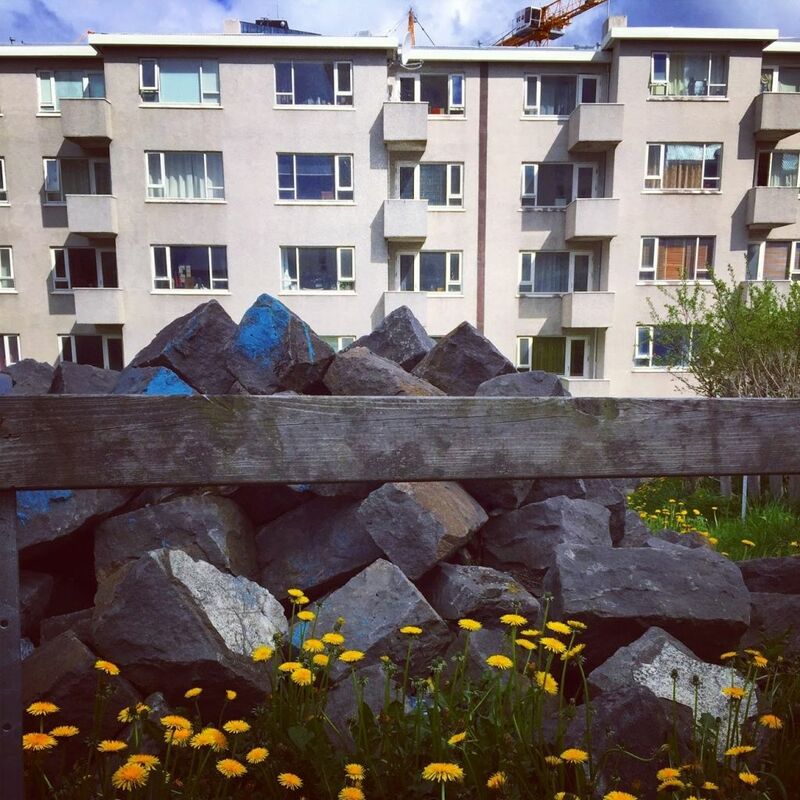 Iceland is pretty much the most expensive country in the world to visit, so Glen pursued all of the cost saving options–staying in Air BnB, renting a car, and having me serve as his personal chef. Reykjavik was great fun with late nights hanging out with new friends and even some who happened to be in town for the Non-Fiction Now conference. 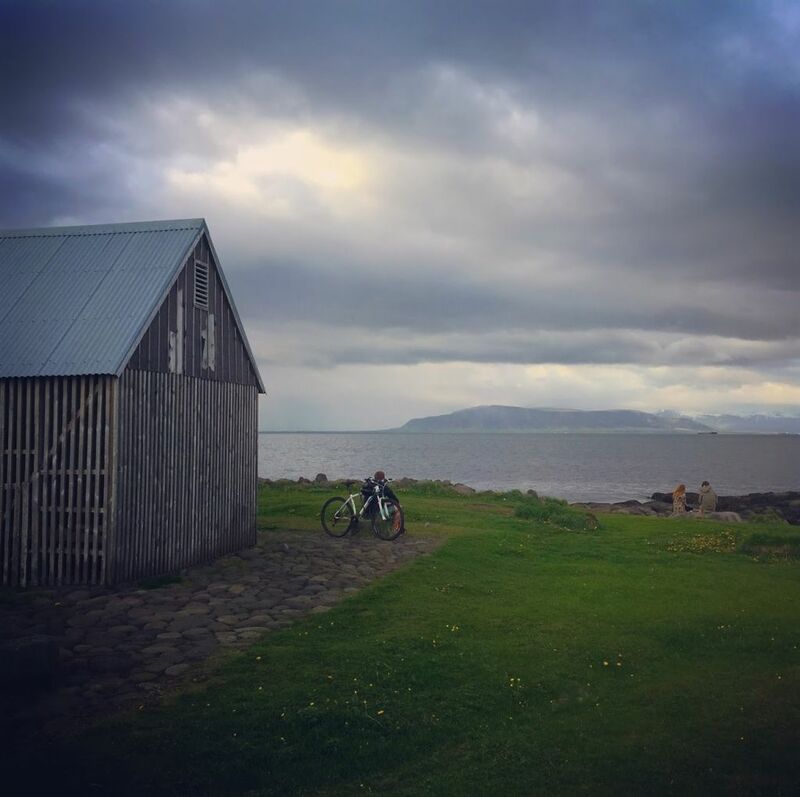 Now that I am in the Westfjords, my life is quieter but still exciting. But pictures say much more, so here are some photos from the trip so far starting with where I am right now then to Reykjavik. We are staying in Flateyri, population 180. It is a beautiful little peninsular that juts out into the water with a huge mountain as a backdrop. In 1995 there was a huge avalanche. . 16 people died, 17 houses destroyed, and 20 horses killed. They have since built a giant V-shaped mound to protect the town should it happen again. 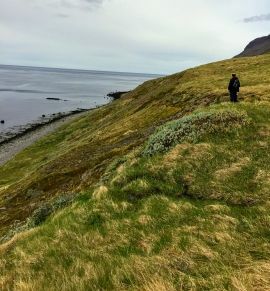 View of the fjord during the hike around Flateyri (population 182 with us in it) where we are staying. View from the window at the Air BnB, which is the old bookstore and is now a museum. We are staying upstairs, hand washing socks and knickers, and cooking our own food. Part of our hike. So many jar dropping views. 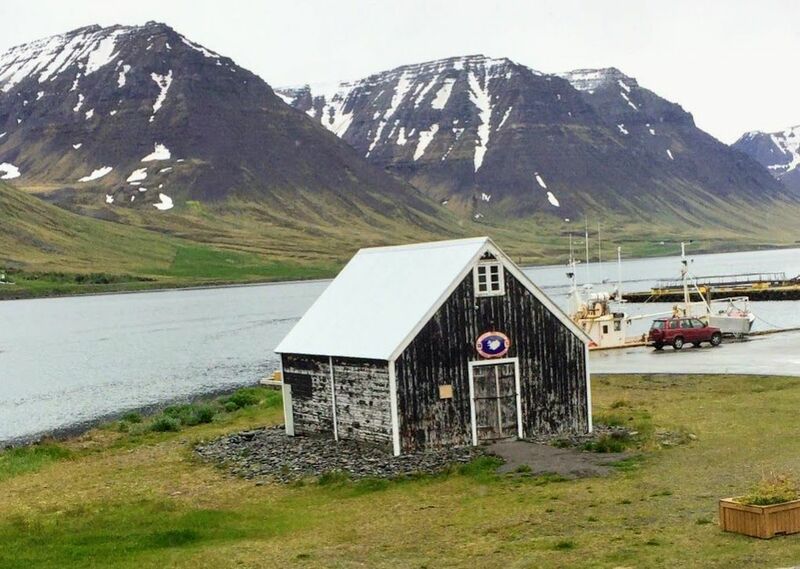 Since Flateyri is a fishing village, we assumed they had fresh fish for sale. But the only story is the little N1 gas station and convenience store. Upon spying a fishing boat come in, we asked the fisherman where we could buy fish. “You want fish? We have fish?” And they handed us this cod. They refused to take money for it. 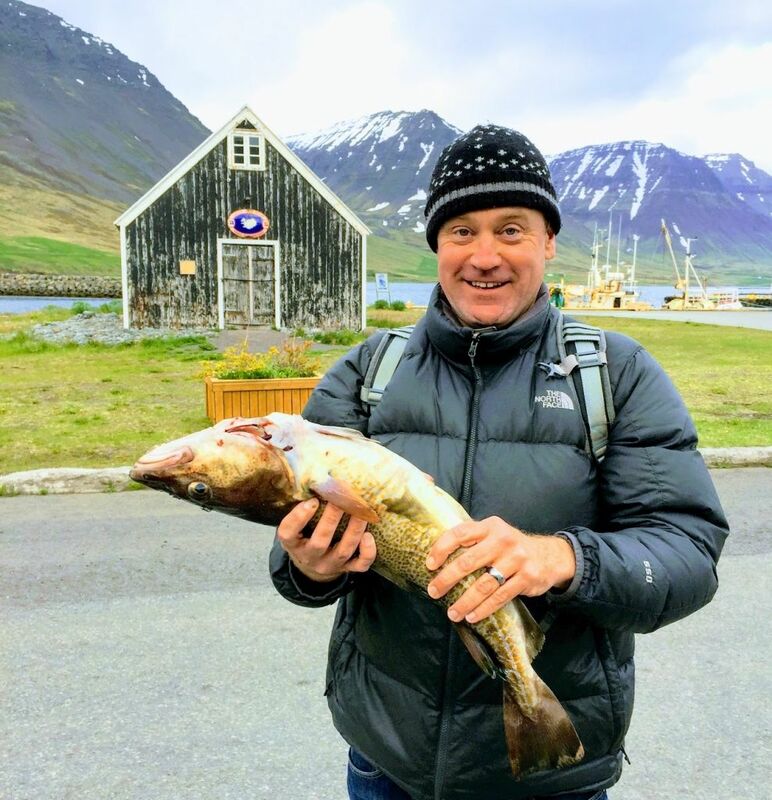 What to do with a whole fresh cod? Having never gutted or filleted a fish, we turned to YouTube for guidance. 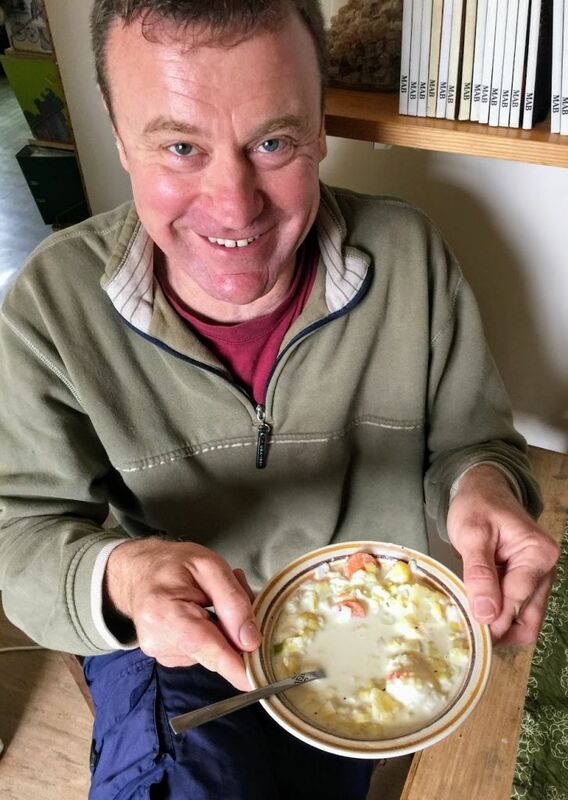 Then I made a creamy fish stew like I had once in northern Norway. 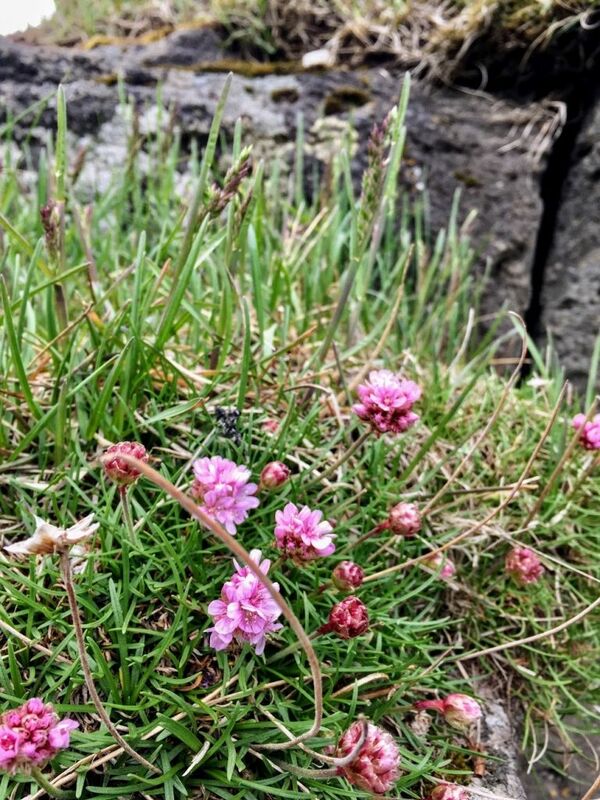 Spring in Iceland means loads of gorgeous flowers and so many birds. 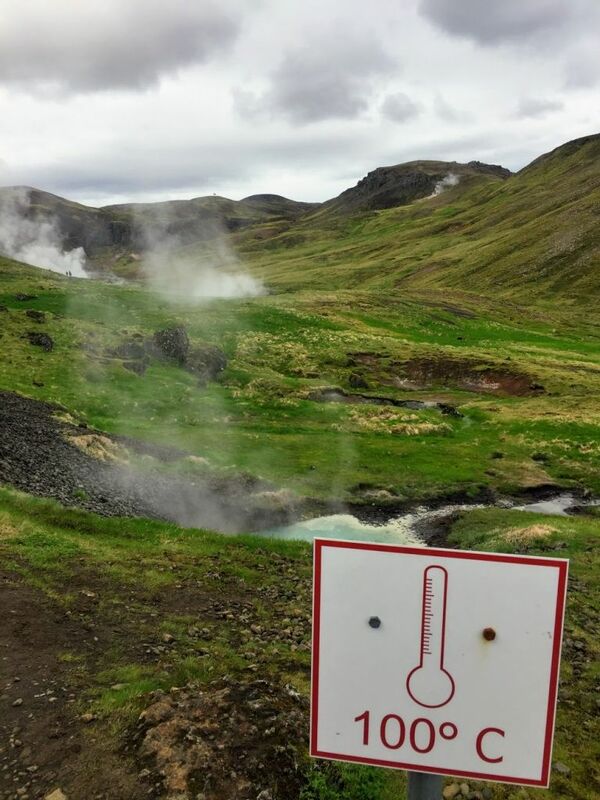 Lots of hot geothermal action happening around the country. We stopped at this site. Further along there is a natural hot spring where we soaked and enjoyed the views. The water was not quite so hot as in this pool. Thank God! What I love most about travel is that I get to meet lots of smart and interesting people. Lee is a student at the university. 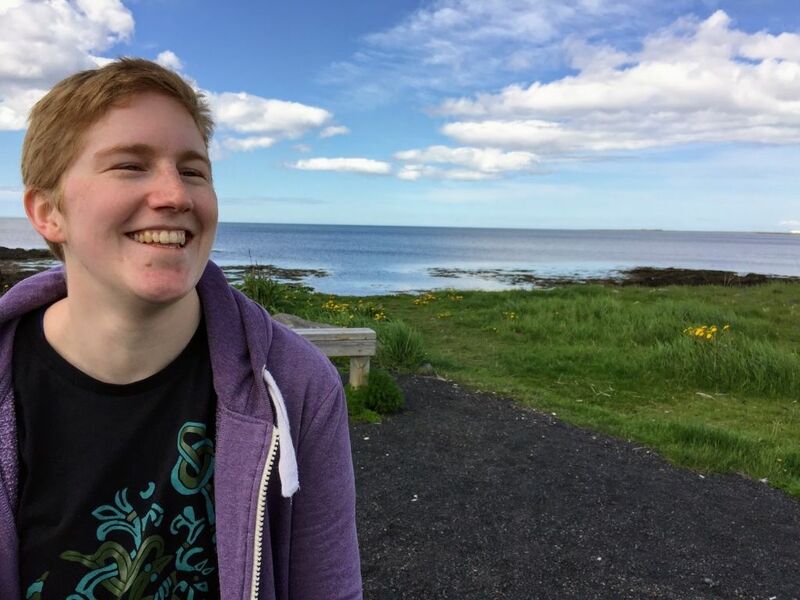 Lee is interested in transgender characters in Norse literature. 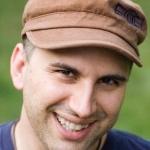 I conducted an interview and how to include Lee in a NEW podcast I will produce with Liam Hooper in the fall. 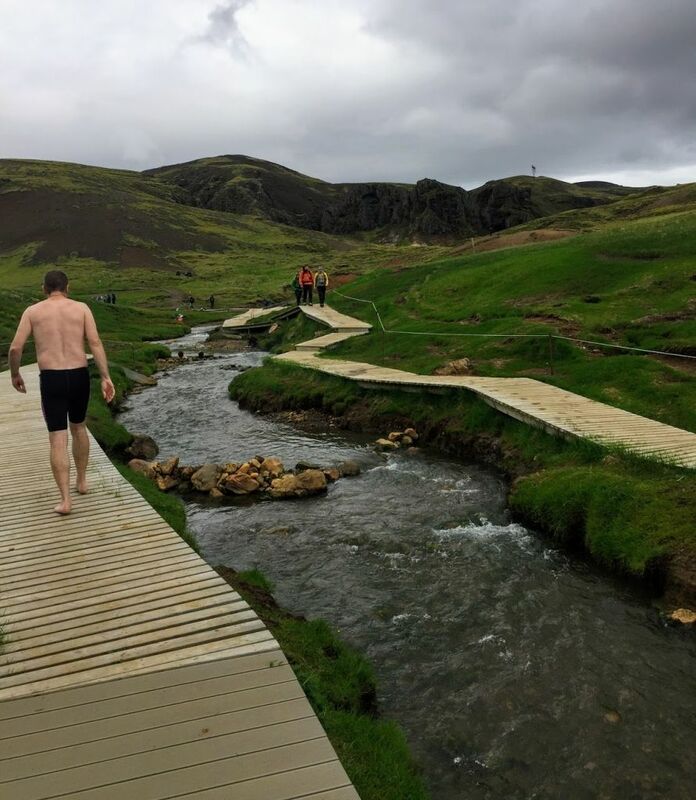 This is Reykjadalur, where you just get changed next to the hot stream, hop in, and soak. 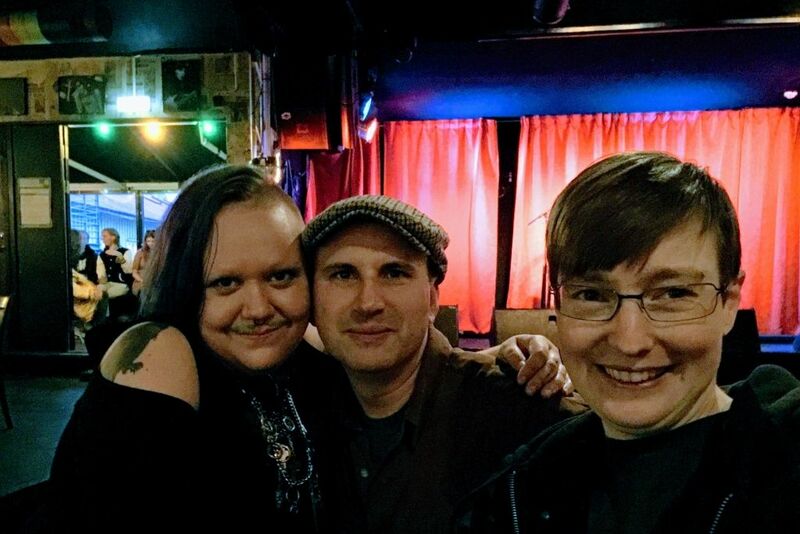 Thanks to my friend, Melissa, I met Alda and Andie, both of the group WotEver Iceland. They are on the forefront of the liberation movement for gender non-conforming and transgender people. AND they are tons of fun. 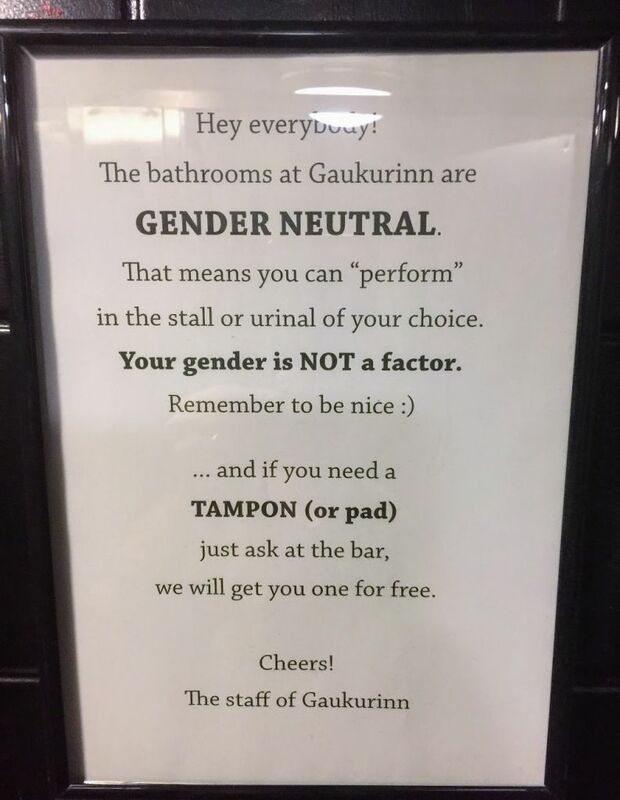 Gaurkurinn is a bar and performance space that has gotten a reputation for having really interesting acts. Tourists and locals showed up for my show there. They have a big gender neutral bathroom with proper stalls (unlike the flimsy, see-through busy we have in the USA.) This was the sign in the bathroom. I got around town easily on the bus system, except after midnight. The buses stopped and the taxis were unbelievably expensive. So after a night out with my new queer friends, I stumbled home in the light. The sun never really sets. Just dips for an hour or two of twilight. 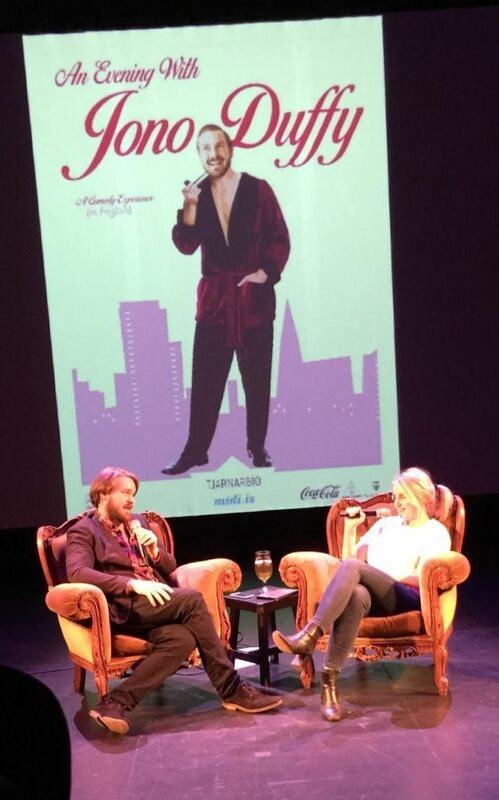 I had the absolute joy of meeting Jono Duffy, an Australian gay comic who now lives in Iceland. Wicked funny, very sharp, and wonderfully informed and insightful. He had me on his show to talk about the ridiculous conversion therapy experiences I had. I gave him a copy of my new Transfigurations DVD. So far I had only one restaurant meal in nine days. I have been eating lots of Skyr yogurt and cooking. 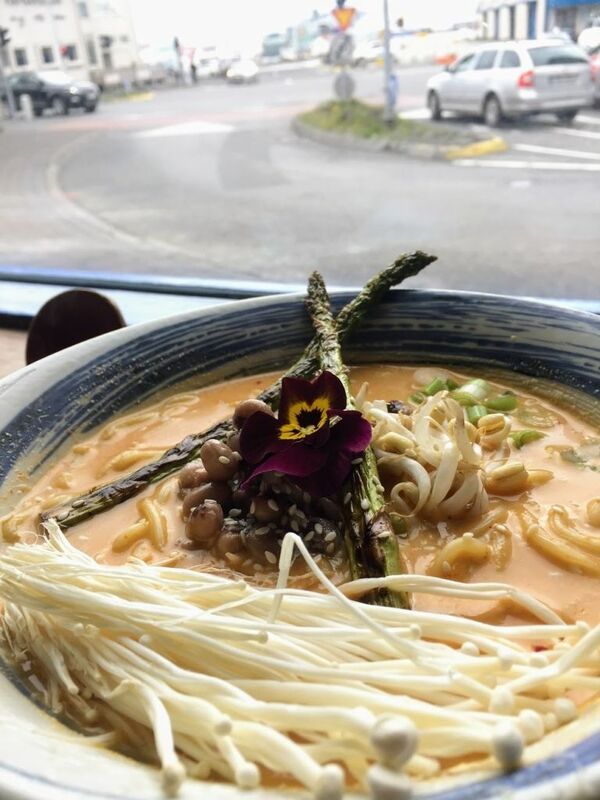 But after my friend Melissa recommended I check out this ramen restaurant, I had to order their vegan special of the month. It was reasonably price and delicious. Melissa also recommended a trip out to a nearby lighthouse. It only took 20 minutes by city bus. That day we walked 8 miles all over town. Although we were exhausted, the weather was too fine to not go out for more. At the end of the day we walked 12 miles. Since we stayed just a little bit out of town, it was a little cheaper and we had a kitchen. We were also a 2 minute walk from this gorgeous bike path. I took this photo at 10:30 in the evening. Another view from the walking path. 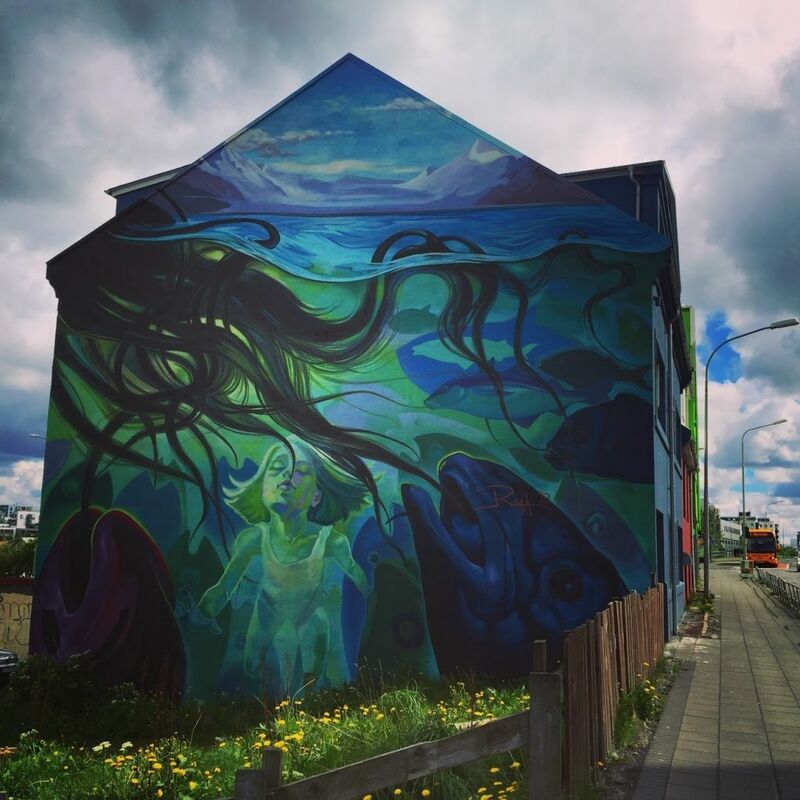 Reykjavik has lots of murals on buildings. This one is my favorite. Dandelions! So many. If I were going to be here longer I would totally make all kinds of stuff with dandelions. Oh and pools! 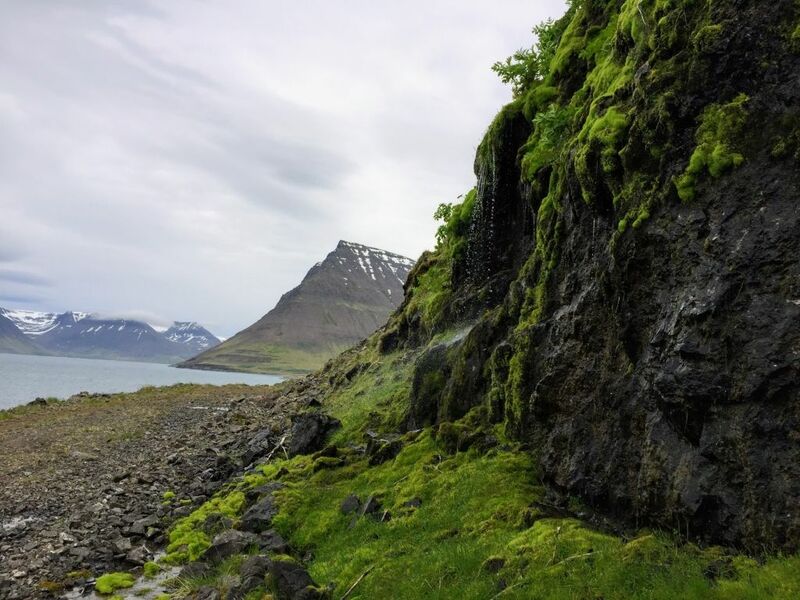 With so much geothermal around, there is a massive culture around hot tubs and warm pools. Even the little town of Flatyeri with less than 200 people has a huge pool with three “hot pots.” We go everyday and usually have it all to ourselves during most visits. 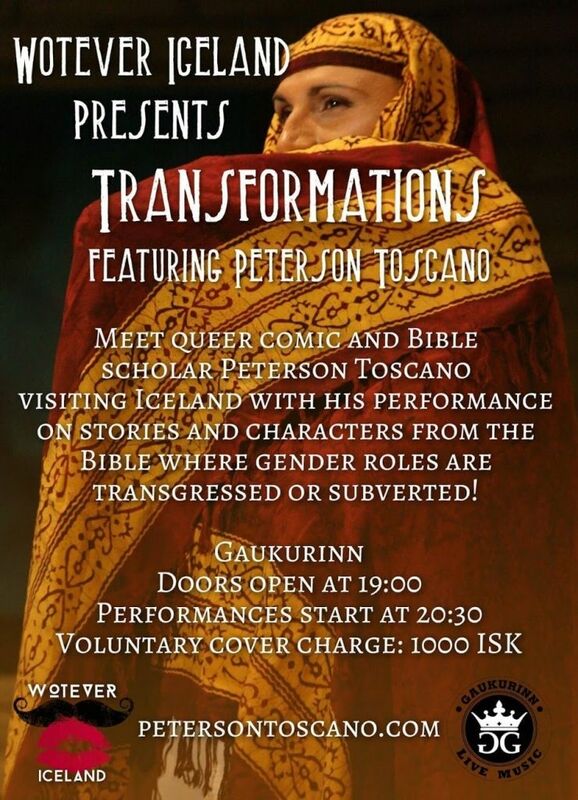 « Overcoming Conversion Therapy with Bible Stories?? ?